A few weeks ago, I began addressing a common question for many runners – how do I get faster? I started by looking at performance supplements that can support your training efforts. Next I gave you 4 steps set your training paces, so you can train at the right pace for each type of run. 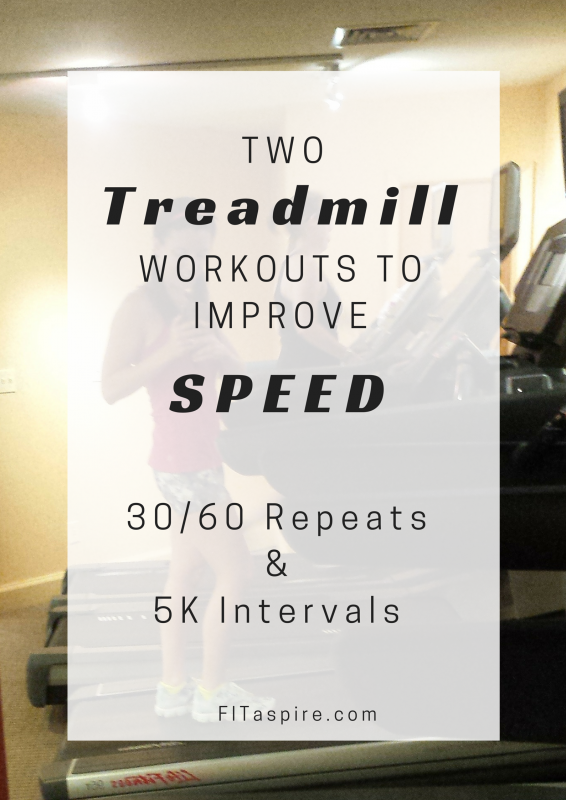 Today, I’m sharing a couple workouts that you can do on the treadmill to improve your speed. It’s Convenient: a running track is a great place for speedwork, but most of those are located at high schools. In my experience, high school tracks often have limited availability for the public. They are closed for early morning workouts or shifting schedules due to sports that also use the track.For me, the treadmill is something I can use on my schedule. If your track is easier to access, this might not be a concern for you! Forced Pace for Intervals (and Recovery): Speedwork is hard! It’s fun to run fast, but it can be hard to hold a very fast pace when you’re tired. The treadmill helps take some of the guesswork out of the equation and forces you to keep up with the speed you set it at. It also slows you down on the recovery intervals, so you can appropriately recover. Very good things! Controlled Environment: The weather absolutely impacts your performance. If it’s too hot, your heart rate will increase and you won’t be able to hold as fast a pace at the same effort level. On a treadmill, your environment is more controlled and you can minimize this impact. If you’ve been consistently running for at least 2-3 months, you can begin to add speedwork to your training. Stick with one speed workout each week, unless you’re an advanced athlete and your coach directs you otherwise. I’m going to reference training paces for these two workouts. You can follow these steps to find your own personal training paces. Both workouts below are best for someone new to speedwork or training for a 5K. 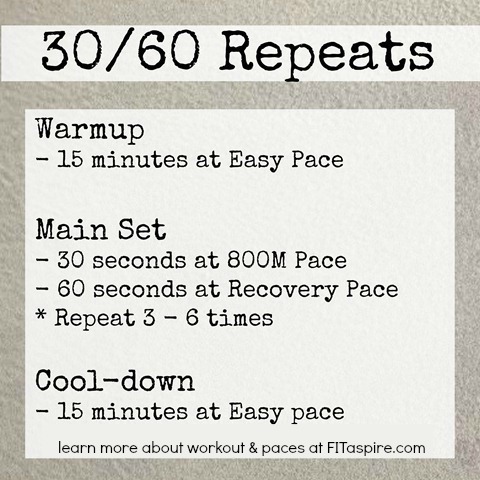 I recommend starting with the 30/60 Repeats for 4-6 weeks, then progressing to 5K Intervals. Although I choose the treadmill on most occasions for these workouts, you can also choose the track or a flat route outside. This workout always starts out fun, but you are tired by that last repeat. You can progress this by dropping to 400M pace, or by increasing the number of reps. Don’t be afraid to increase the warm-up or cool-down, as needed. After getting your body used to speedwork, it’s time to increase the length of the intervals and really focus on the 5K distance. 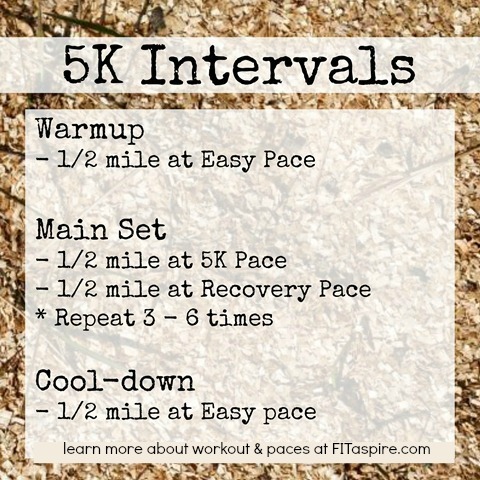 When you progress to 6 intervals, you will be just under the full 5K distance at race pace. As will the previous workout, don’t be afraid to increase the length of the warm-up or cool-down, especially as you increase the number of intervals. I hope you enjoy adding a little speed to your run training. These are challenging, but you will see results if you put in the work! 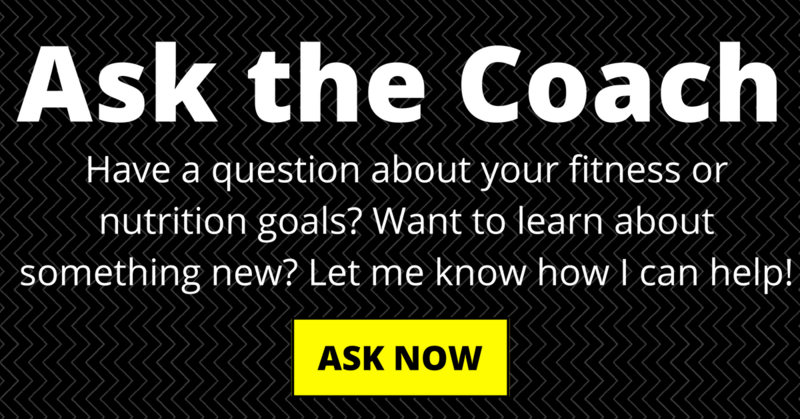 If you’re ready to take your training to the next level, check out our coaching options. We take the guesswork out of your training by creating a plan that’s just for you. Do you appreciate the treadmill for training or do you head outside? What are you training for? I have a duathlon on Sunday – have I mentioned that? !